The BiOrb Aquatic plants allow you to add colour and a realistic look to your BiOrb and BiUbe Aquarium. 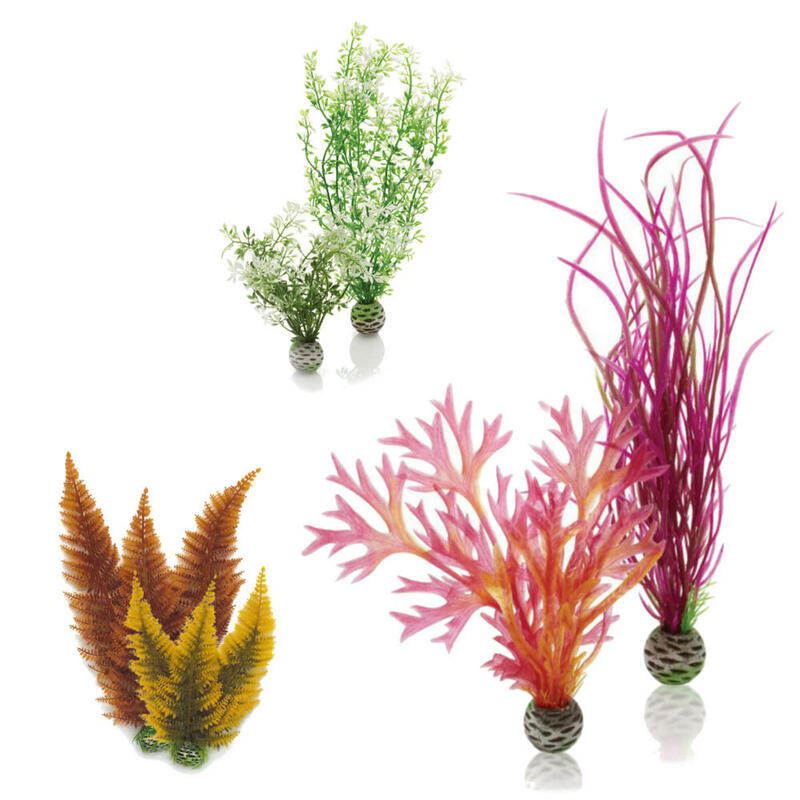 The eye-catching plants can be easily placed in the tank and when combined with other decorations in the Easy Plant range, will create a vibrant and beautiful underwater display. With their weighted bases, the different coloured plants sit safely in the base of your tank and sway gently with the flow of the surrounding water. The weight acts as a balance which will help the plant to self right itself and stops it from floating to the surface. 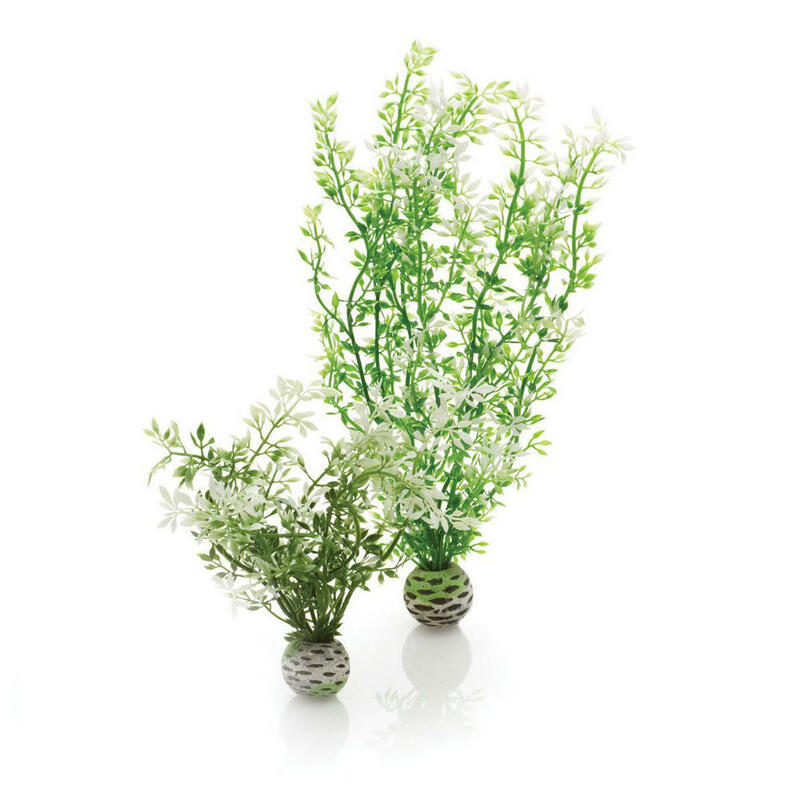 The artificial flowers provide many advantages over using real plants in your tank. 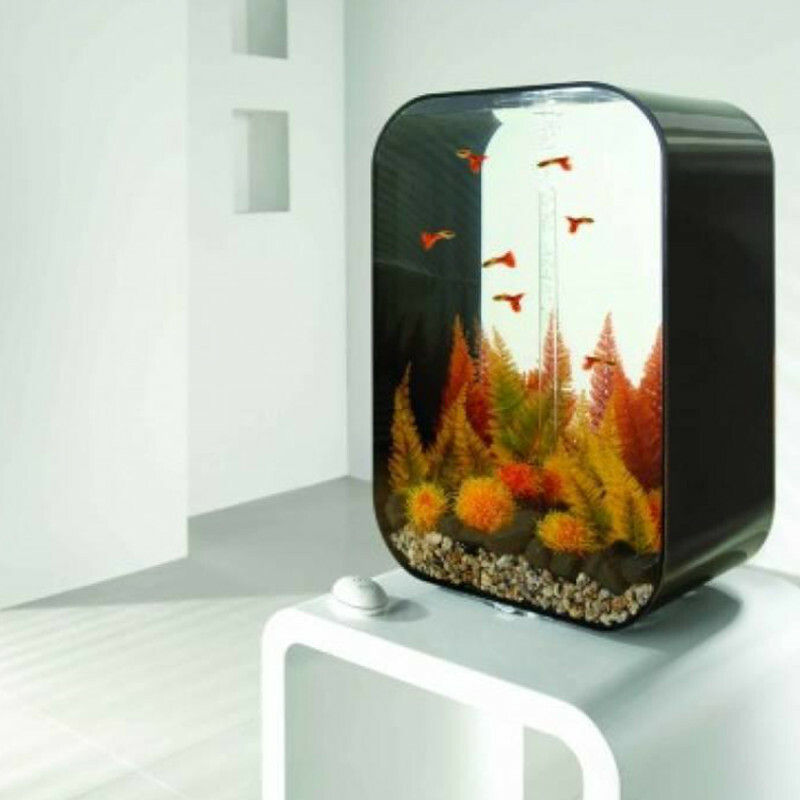 They are easy to place and move to suit your needs, they also do not alter the delicate chemistry of the aquarium water and will not produce waste or debris. 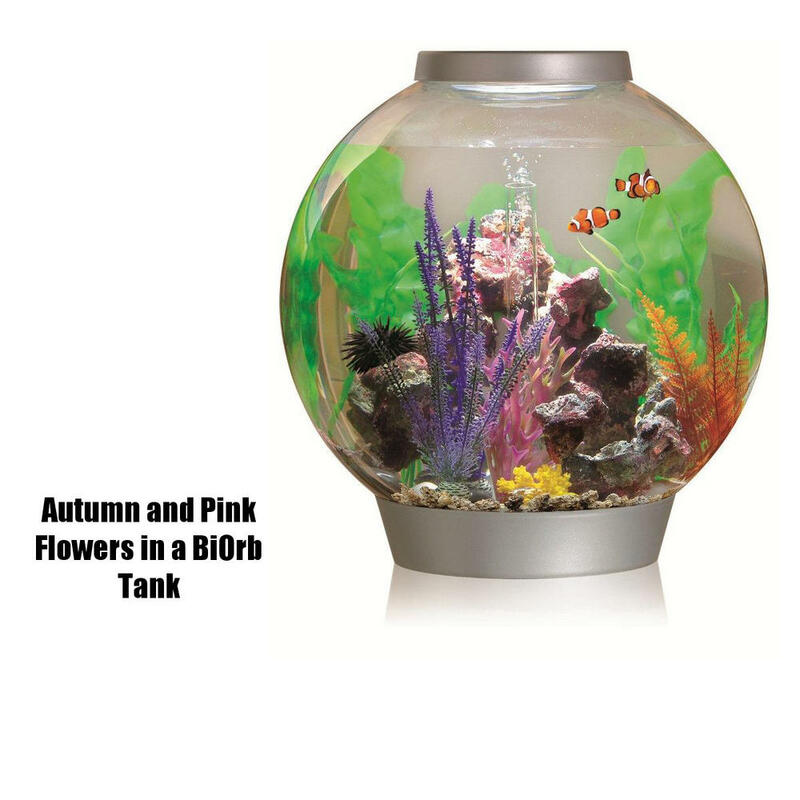 With a selection of different colours and designs to choose from, your tank will look its best. 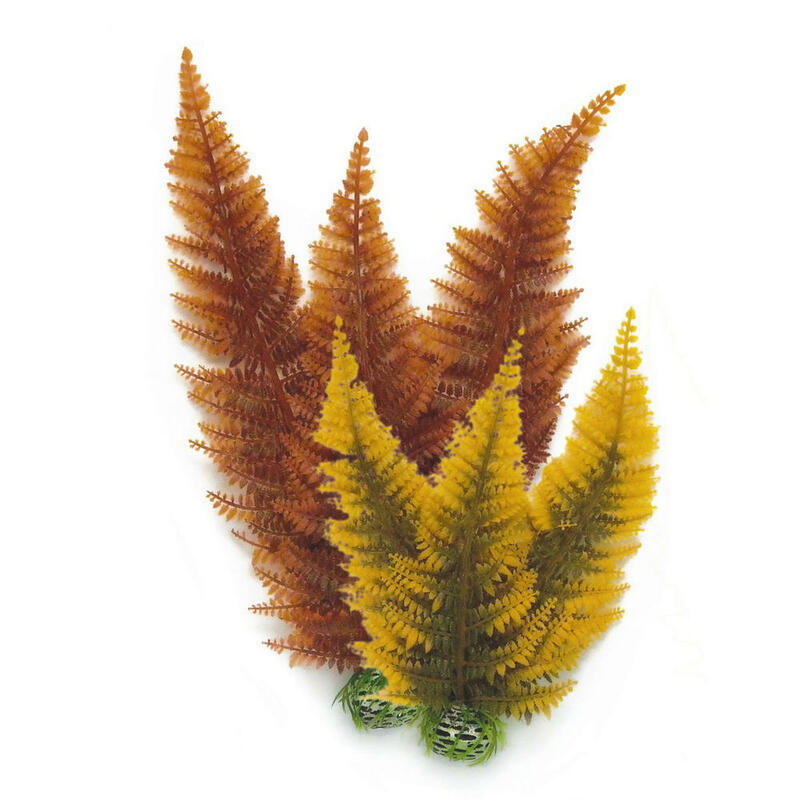 Choose from the warm brown colours of Autumn Fern, exciting and vibrant shades of the Pink and Red or the calming look of the Winter Flowers or green leaves. 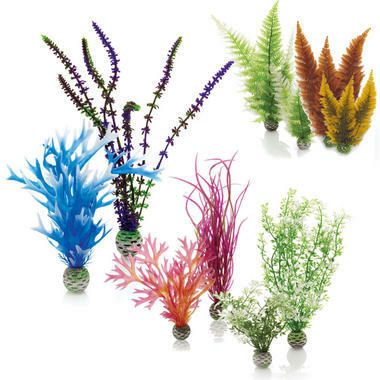 It is recommended that all plants are washed before being placed in the aquarium and that smaller flowers are located at the front with larger plants behind. 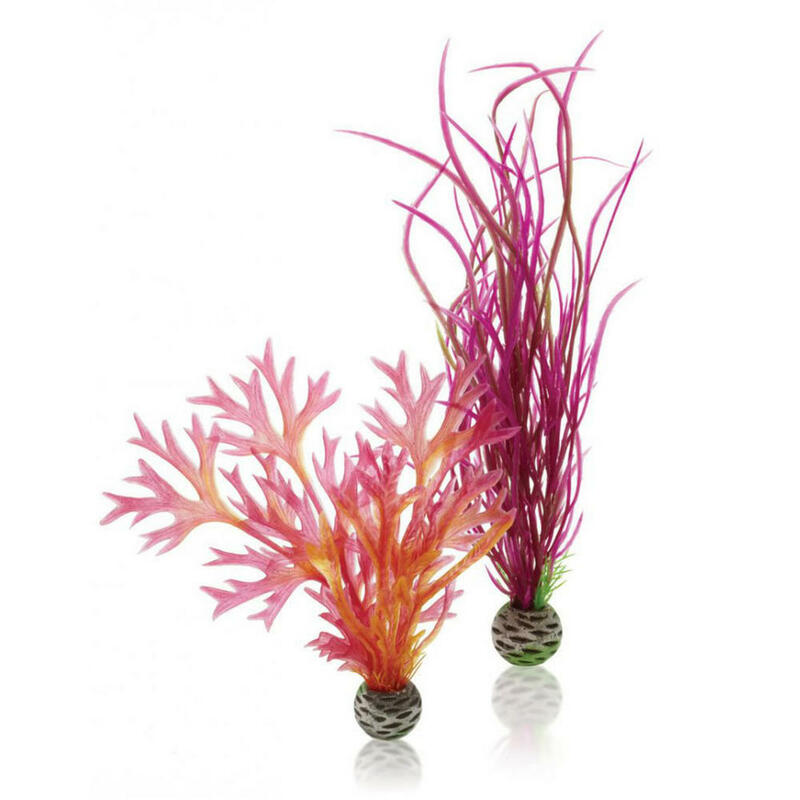 As well as BiOrbs this decorative plant will make an excellent addition to any Aquarium or Terrarium setup. 9 Designs with 2 flowers per pack.